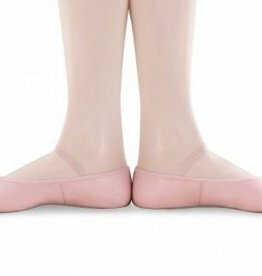 Guided by the third-generation of Bloch's family, the company's international recognition has marked it as a leader in the technical dance market. More recently, the introduction of a dance inspired fashion line for the street has been an instant success worldwide. Bloch design features, material selection and construction are all linked to dance. New for Spring 2019! The Kovi combines the gorgeous-ness of printed black mesh with the added security of wide cross straps. New for Spring 2019! The Alandra camisole bodysuit features lace up detail v neck with a low back. 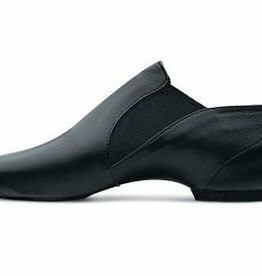 Elasta Bootie by Bloch is a slip on jazz shoe for dance that features a split sole with side elastic inserts. Child sizes. New for Spring 2019! Tutu sold separately. Camisole bodysuit for girls has princess seams and floral printed mesh.